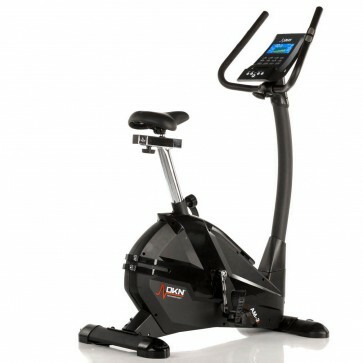 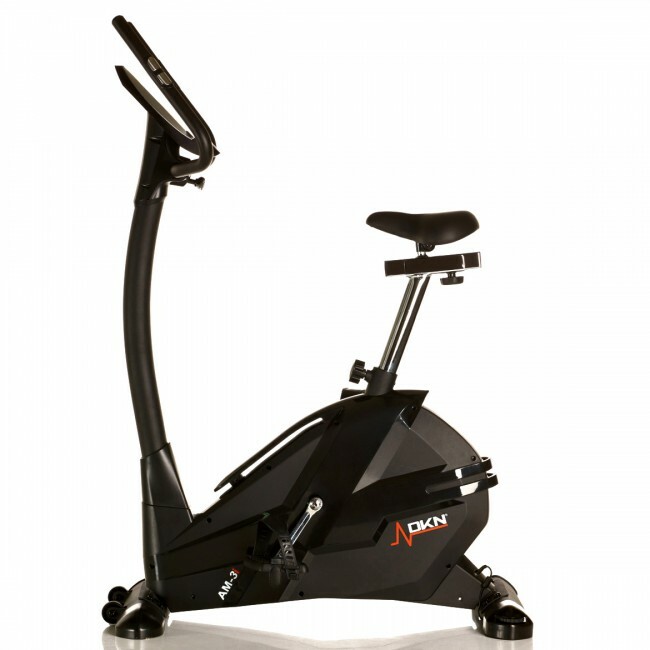 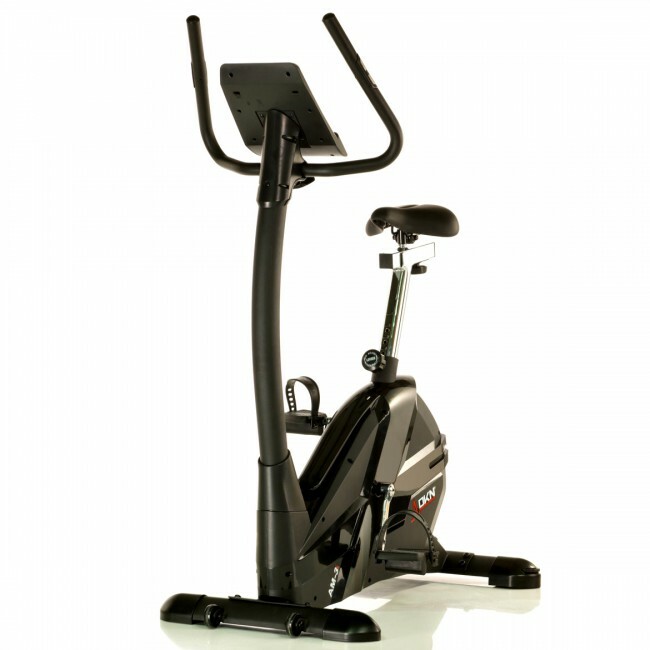 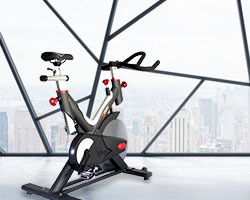 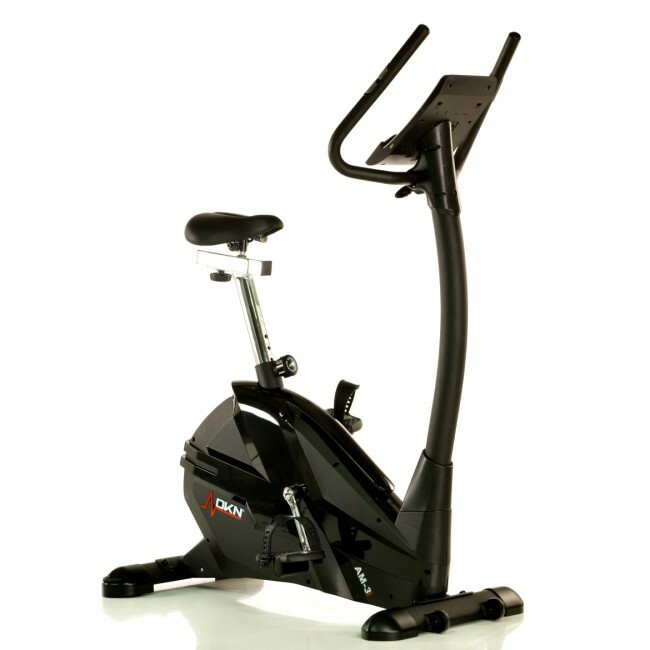 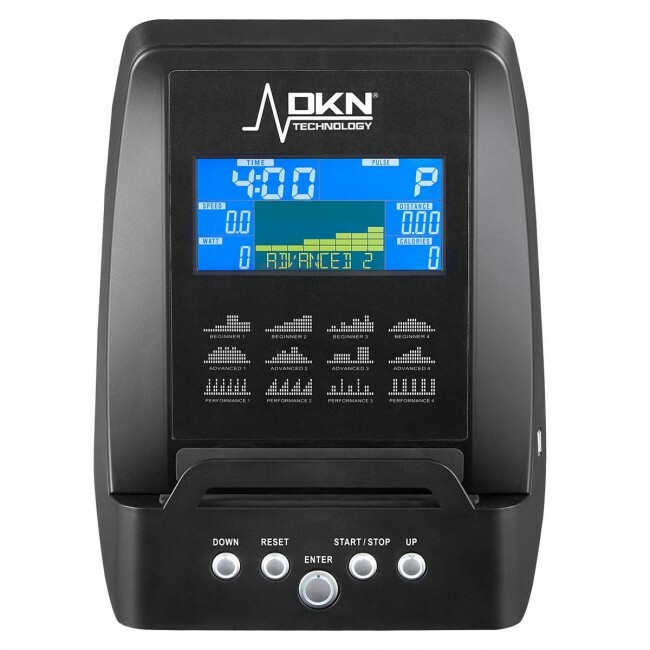 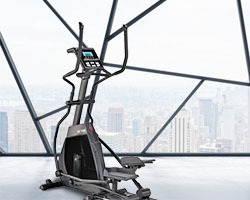 The DKN AM-3i exercise bike is a high intensity ergometer providing quiet operation thanks to its 11kg (24.2lbs) flywheel and has an impressive selection of 32 computer controlled magnetic resistance levels enabling users to adjust intensity of each workout. 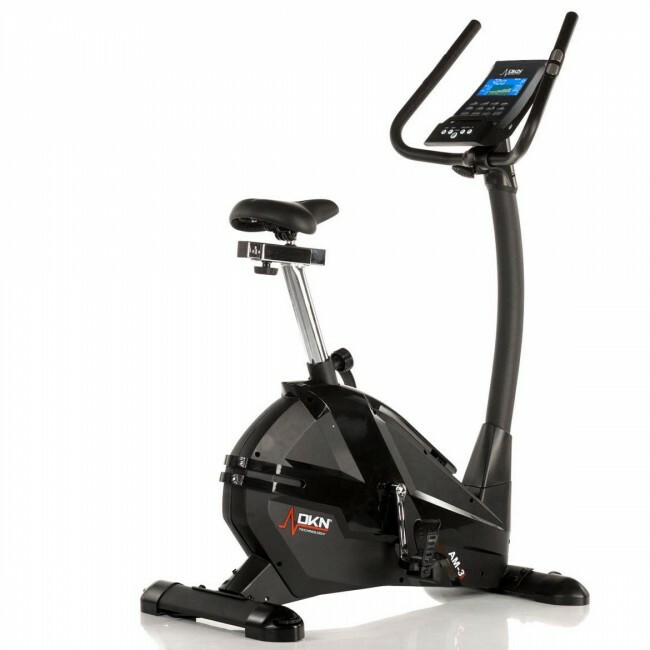 To stay challenged and focused on the goal, there are 18 programmes, whereas 4 user profiles allow for storing personal data. 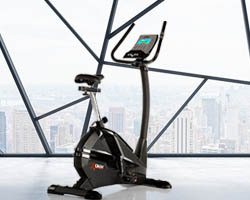 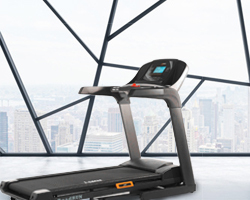 This sturdy machine is fitted with a clear, easy to read colour LCD display and compatible with Kinomap and Vescape fitness apps to let you maximize workout experience. 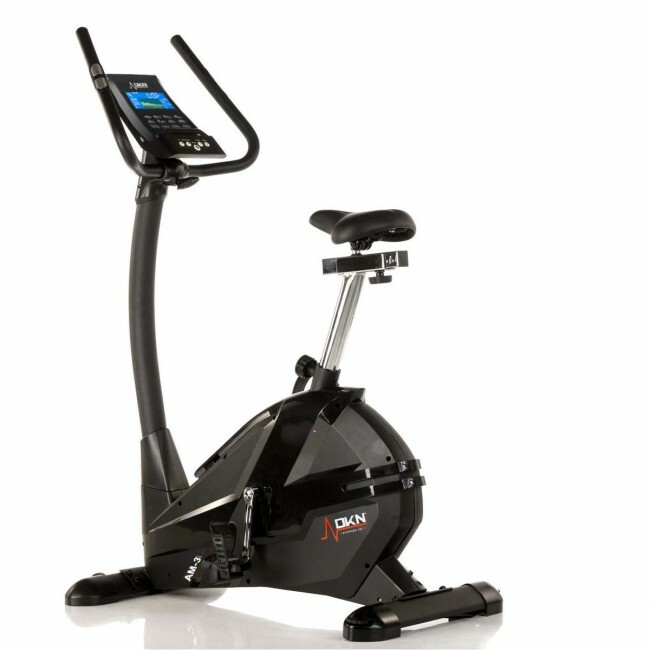 For a comfortable position while exercising, it features easily adjustable handlebars and a large, soft, ergonomic seat and to measure heart rate, the AM-3i has hand pulse sensors and a Bluetooth 4.0 wireless receiver (chest strap optional extra). 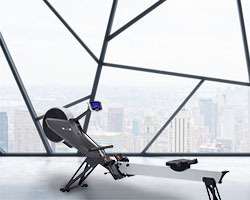 To allow for watching movies, checking emails and listening to heart-pumping tunes during workouts, there is an integrated tablet holder.